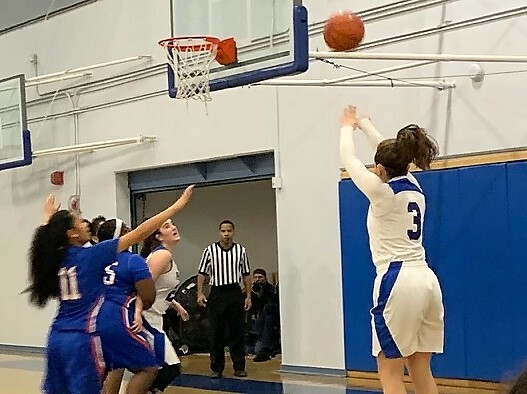 Sophomore Sammie Arnold sinks a shot for the Palisades High School Dolphins. 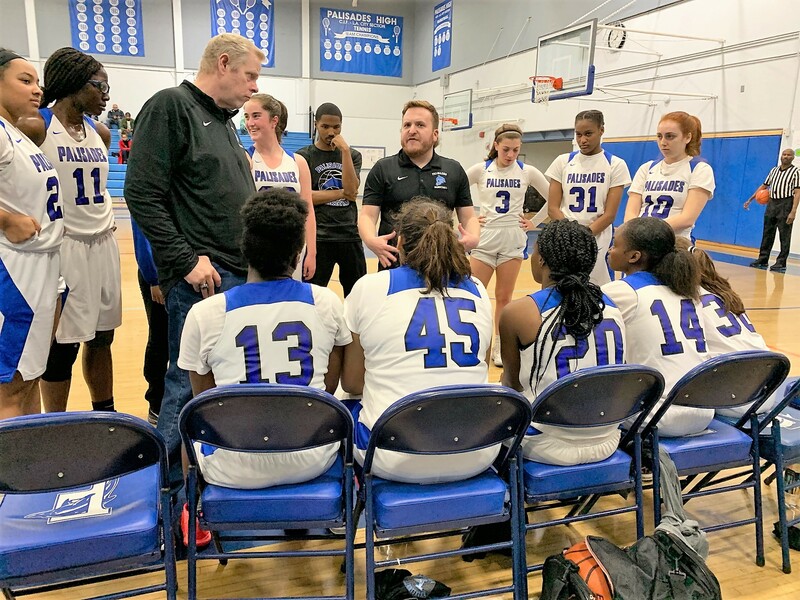 The Palisades High School girls basketball team won its first round game in the Division 1 playoffs beating University 59-36, tonight, February 9 at home. Sophomore Alexis Pettis led the scoring for the Dolphins with 16 points and teammate and junior Jane Nwaba had 14. PaliHi has a young team this year with only three seniors on the roster, Chaya Brennan, Mercy Montgomery and Brooke Messaye. The Dolphins, which are seeded #1, will play the quarterfinal game at PaliHi on February 13 at 7 p.m. against Poly (seeded #9). The two teams didn’t play during the regular season. Poly beat LACES 47-44 to advance. PaliHi was third in the Western League standings (8-3) and Los Angeles CES was fourth (5-5). Westchester won the league and is in the Open Division Tournament. Coach Adam Levine (center) goes over strategy during a timeout.